Daily Harvest delivers pre-portioned superfood eats to your freezer. At Daily Harvest, we aim to create the best experience for our customers. This involves everything from traceability - farm to freezer, to creating a digital community & ecosystem, to modernizing supply chain processes, to making complex order & fulfillment scenarios seamless. This is about quality! To continue in this quest, we are currently seeking an ambitious VP of Engineering to develop & manage our engineering team. Youll partner with the Executive Team & other leaders in the organization to help lead the companys strategic direction, development, & growth. Experience in ecommerce: fluent in thinking about topics like customer segmentation, unit economics, retention, marketing costs, etc. You will have experience recruiting & building diverse engineering teams. Worked at great companies in leadership roles, & have seen what success looks like. Built & delivered products that have scaled in the marketplace. You will have experience (and enjoy!) speaking/networking to help build the brand of the company & product. Daily Harvest makes nourishing food built on fruits & vegetables accessible. We do this by delivering thoughtfully sourced, chef-crafted food to customers' doorsteps, all ready to enjoy in minutes. Were on a mission to take care of food, so food can take care of you. 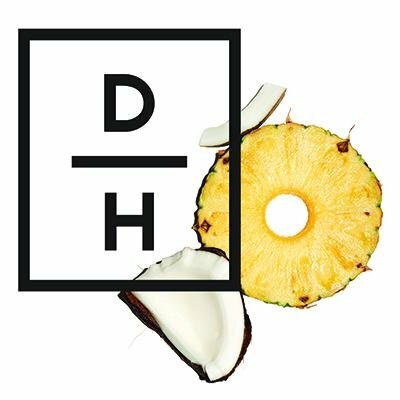 Since launching in 2015, Daily Harvest has been featured in national publications like Fast Company, The New York Times, & Refinery29, & garnered investments from celebrities like Gwyneth Paltrow, Serena Williams, & Bobby Flay. Our team is collaborative, driven, & future-thinking. We're constantly learning, experimenting, & iterating, & celebrate failure just as much as success. We take risks, try new things, & we get things done. We love adaptogens & cruciferous vegetables but never say no to cake. Everything we do, we do in the service of our community.